While harvesting plants in a field for research, University of Wisconsin student Hannah DePorter noticed she and her fellow researchers left far more behind than they took. DePorter, who works in horticulture professor Irwin Goldman’s plant-breeding lab, said several other labs grow plants for research, but they always have more than they need. This leads to approximately 1,000 pounds of wasted food each growing season. “We definitely produce more than we consume and that creates a big problem for us with food waste,” DePorter said. So, DePorter decided to change the amount of waste by putting the food to good use. She does so by encouraging students to compost, taking only what they can and educating themselves on where their food comes from. 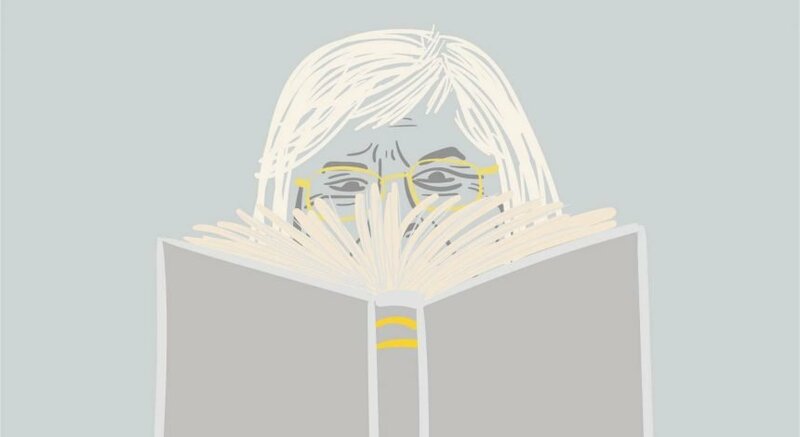 And she is not alone in her fight to make a less wasteful UW. 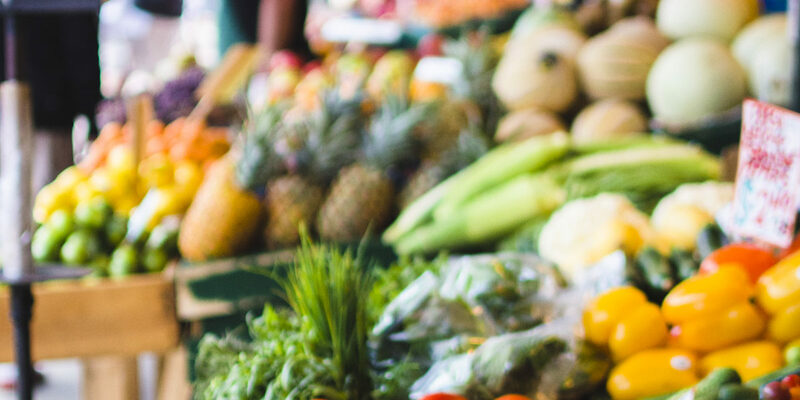 With Earth Day only a few days away, UW students, faculty and staff have strengthened their efforts to increase sustainable food management practices and ensure no one goes hungry on campus and beyond. Plaguing not only UW but also Wisconsin, food waste is one of the “biggest” yet most underestimated issues affecting the Earth. UW professor of consumer science Lydia Zepeda said each person in the U.S. throws out 20 pounds of food every month. This means about 40 percent of all the food in the U.S. is never eaten. “If food waste were actually a country, it would use more water than any other country in the world and more land than any country, except for Russia” Lydia Zepeda “This food waste is equivalent to about $165 billion a year, which is what Americans annually spend on education out of pocket,” Zepeda said. With growing food insecurity worldwide, many experts are trying to increase food production to meet needs. But Zepeda said all that needs to be done is not waste as much food. She said there is already “plenty” of food but it does not reach everyone equally. In addition to money, excess food has serious negative impacts on environmental resources. Zepeda said it wastes water and land area and destroys habitats and forests. This in turn leads to species extinction and biodiversity loss “for no reason,” Zepeda said. “If food waste were actually a country, it would use more water than any other country in the world and more land than any country, except for Russia, and emit more carbon dioxide than everyone except China and U.S.,” Zepeda said. 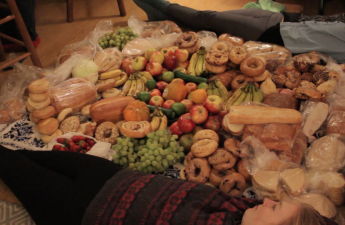 UW’s six dining halls have potential to become minicountries of food waste of their own. But University Housing’s Division of Dining and Culinary Services is trying to implement new strategies that will help eliminate food waste in the dining halls. Paul Sprunger, executive chef with the Division of Dining and Culinary Services, said each dining hall has a menu management system that decides how much to cook and serve. Depending on how much of every dish was consumed, the system helps chefs know how much to prepare to minimize food waste. Because the dining halls serve a large population of students, it can be hard to predict exactly how much needs to be prepared, Sprunger said. Chefs have to draw a “fine line” between having too much food and having too little. When there is excess food, however, Dining and Culinary Services has a few tricks in its apron to redirect and repurpose it. Sprunger said all dining halls compost food and openly encourage students to participate in the process. Two large composters, known as “pulpers,” are located in Gordon Dining and Event Center and Four Lakes Market in Dejope Hall. 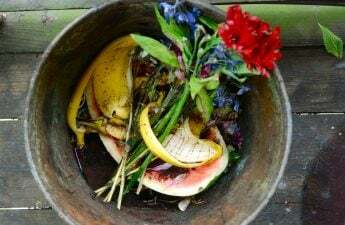 Composting ensures food does not end up in a landfill and instead can be used to fertilize other plants. Dining halls also try to offer more plant-based and locally sourced dishes, Sprunger said. These are less costly to acquire and more sustainable to produce, which means expenses to both students and the environment remain low. There is food waste on campus and that is evident by how we have 100 pounds just over two days just for two dining halls. Angad Dhariwal Sprunger said he is trying to start a garden program that would allow student employees to grow food on campus and use it in dining hall dishes. “[Student-employees] can see the whole cycle of food from scene to table, and also talk to their fellow students about where their food comes from,” Sprunger said. 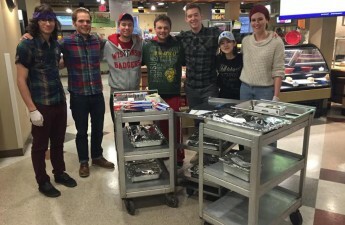 In addition to its own initiatives, Dining and Culinary Services redirect excess food to a number of organizations including Campus Kitchens, Associated Students of Madison’s Open Seat Pantry, Salvation Army, Second Harvest and Porchlight. Campus Kitchens spokesperson Angad Dhariwal said the organization collects almost 100 pounds of food every two days from Rheta’s and Four Lakes markets and repurposes it. Dhariwal said they try to serve as many food-insecure students as possible, but are also generally open to all students. The student organization began in 2015 with the aim of reducing food waste and serving students in need. Campus Kitchens Co-Founder and President Colin McReavy said organizations that donate and take food are often concerned about the possible liability issues. Initially, Dining and Culinary Services was hesitant to donate food in case someone consuming it became sick. But the Emerson Good Samaritan Act of 1996 and a Wisconsin statute modeled after it protects donors from this liability. Since then, food donation has increased, leading to less waste and greater sustainability. The relatively new Food Shed, which DePorter founded earlier this year, takes excess food grown for research and places it in fridges located around campus. This produce is open to all students to take when they need it, she said. Currently, the organization has been allocated one fridge space in the Student Activity Center and is working to acquire more. DePorter said Food Shed should be fully operational by June. Approximately 31 different professors conduct research requiring plant growth of some kind. DePorter said though her organization is in its infancy, it has received support from several faculty members and $5,000 in funding from the Kemper Knapp Bequest Committee. The UW committee helps fund projects that would benefit students around campus. DePorter said students cannot understand how to be sustainable if they do not know how their food comes to them. We need to get word out on what an important environmental issue this is and making sure everyone’s doing their part on making it a better world Lydia Zepeda She said they should question the food production process and take steps to reduce unwanted consumption. To help with this process, Food Shed shows students their “food miles” — a map detailing the food’s journey to their plate. While student organizations are trying to get food to students in need, they are also working toward reducing the stigma associated with food insecurity. 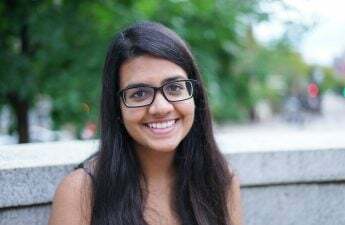 Dhariwal said students often think they do not need help finding food when they actually do, which makes it difficult for organizations like Campus Kitchens to reach them. To destigmatize the process, Dhariwal said it is crucial to encourage open conversation on food insecurity and making sustainable choices. Zepeda said everything students do counts and it is not too difficult to take initiative to reduce food waste. She said recycling and composting correctly could have “such a big” impact on the environment and food security. “We need to get word out on what an important environmental issue this is and making sure everyone’s doing their part on making it a better world,” Zepeda said.